When I heard about Living Still, I sort of wrote it off, because I am more interested in paintings that incorporate the figure or are abstract, or maybe they push the boundaries of painting a little, but I have never been into still lives. Maybe it’s due to my many years of being an Art History student, all those hours of slides against the wall in a dark classroom, still life after still life, century after century. Each holds an importance within the context it was created, and I wondered what the importance of a still life is within our moment in history. So I went. It was amazing! Seven artists with their own take on what a still life is, means, and how it should look. The mediums were all different, they each had a separate energy. It was really interesting to see a type of painting that is often regarded as quiet so loud and exciting. I have renewed my love for the still life. 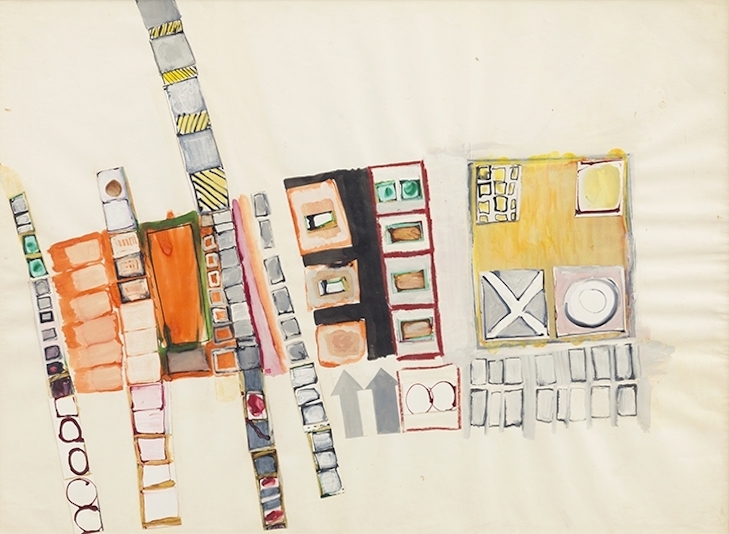 Eva Hesse is mostly known for making sculptural work, hard yet fragile at once. She’s part of the “fiber art” movement aligned with the feminism and women’s liberation of the 1960s. Her abstract resin work can be called “feminine” for its vulnerable, emphemeral, and fragile qualities. I grew up in love with one of her famous sculptural works, “Right After” (1969) in which the pictoral plane collapses in a hybrid between painting and sculpture. Panels of skin-like, glazed cheesecloth hang beside each other. Each cheesecloth rectangle represents the differences between human bodies, similar/ not identical. Another thing I have always loved about Hesse’s work is its acknowledgement of its own impermanence. They crumble, flake, disintegrate. 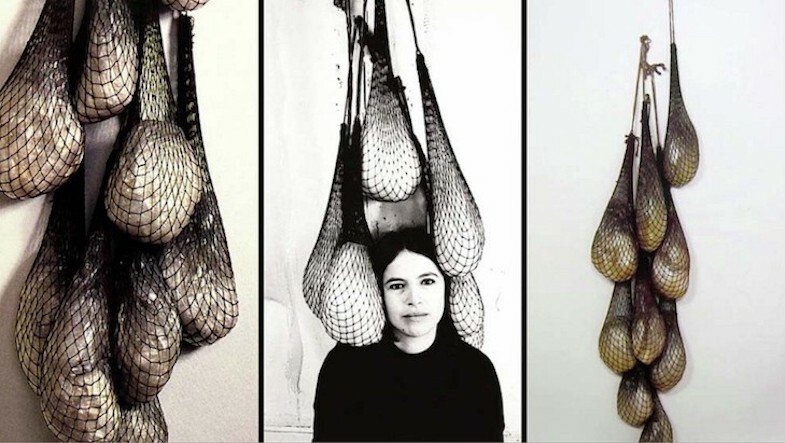 Eva Hesse died of brain cancer at the age of 34. Her work was about how women cannot ignore the passage of time. During the time in which she made the most work, female artists of the 60’s were building a louder voice around the subject of the woman’s experience. In Hesse’s mind, we are imprisoned — a constant reminder. We are not in charge of our flesh. Not only are hormones “stronger” than us, but sickness is, too. Arrows and Boxes, Repeated opened on April 6 and runs until May 25th. There were some lesser known sculptures and paintings, but I immediately gravitated towards the drawings. Her drawings are lucid, stuttering, careful at times and erratic at others. “Arrows and Boxes, Repeated” allows a glimpse even further into Hesse’s young, brilliant mind. 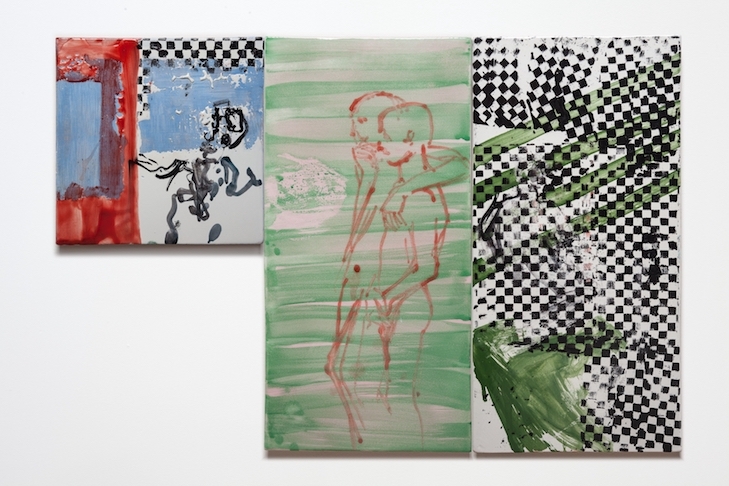 Nick Mauss is a young artist (born 1980) who just had his first solo museum exhibition at the Whitney Museum. This is a huge honor, and Mauss really pulled through. The experience was stunning. Mauss’s central theme is the interaction of two disciplines (ballet and the avant-garde visual arts) in New York City during the 1920s- 1950s. There are paintings, drawings, sculptures, videos, and a daily dance performance made in collaboration with Mauss over several months. The dancers, like they did decades before, interact their movements to the movements within the two dimensional work. My drawing professors used to say that drawing is like a dance. 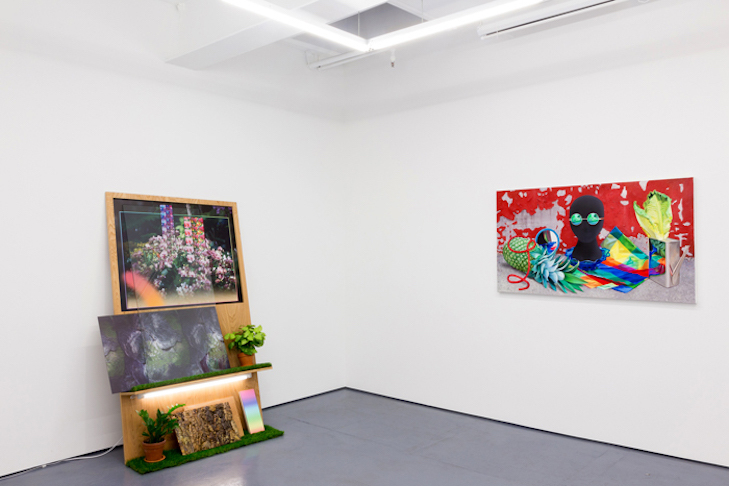 As the avant-garde made its way through the New York arts scene, everything changed. And as rigid and disciplined as many believe ballet to be, even it shifted forms to compliment and progress alongside visual art. So, Mauss’s concept may seem pointed, but it isn’t. 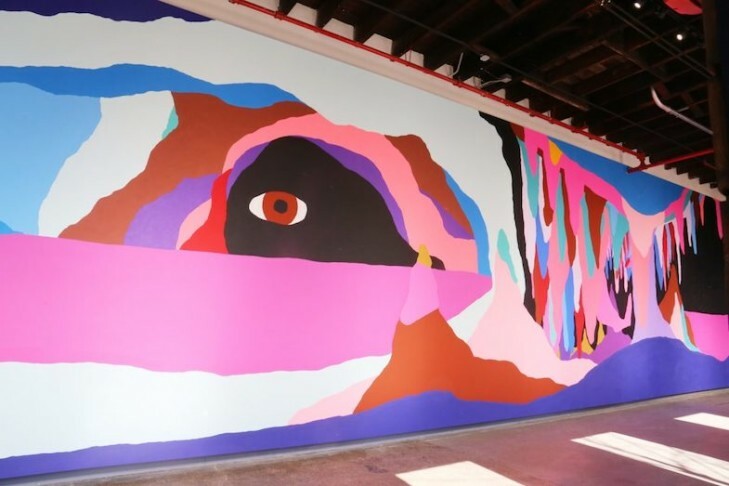 As he shines a light on how one form of art was changed by another, it’s happening all around us right now — and we won’t know to what extent until as many decades pass. I’ve saved the best for last but there is less to say, because there is too much to say. If that makes any sense. 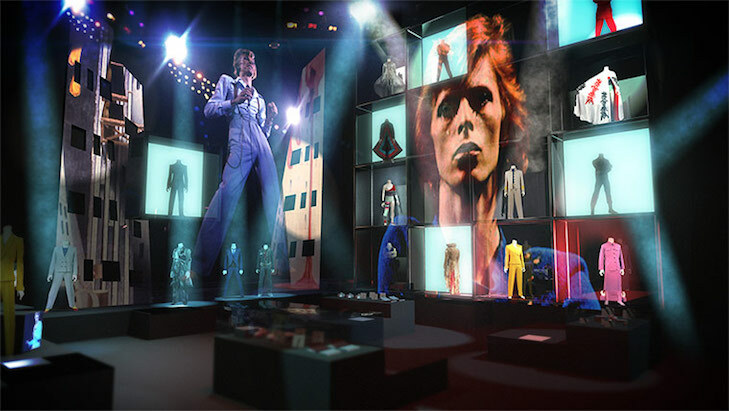 A wing of the museum dedicated to David Bowie, who does not need an explanation. Bowie is an anomaly, an alien, a master, an icon. The Brooklyn Museum is now having a widely critically acclaimed exhibition about Bowie’s life, mind, and art. David Bowie Is has been traveling around the world for about 5 years, and came to Brooklyn in what seems to be its final showing. I grew up with and adore Bowie, so my afternoon spent here was an emotional one. 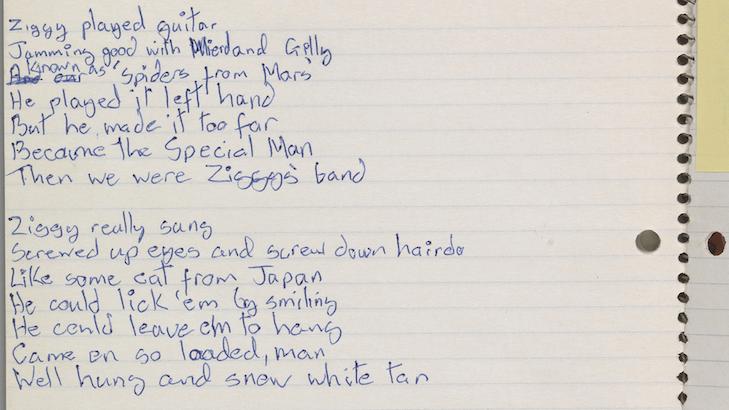 From The Brooklyn Museum’s description: “David Bowie is presents approximately 400 objects drawn primarily from the David Bowie Archive, including the artist’s original costumes, handwritten lyric sheets from famous songs, original album art, photographs, and videos, all tracing Bowie’s creative process from his teenage years in England through his last twenty years, when he resided in New York City. The archive is presented within an immersive, multimedia installation that includes continuous audio along with projected animation and video”. The world will remember Bowie through his music. But “David Bowie Is” gives viewers so much more than music.